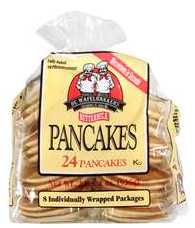 There is another new De Wafelbakkers Coupon available. You will have to like De Wafelbakkers on Facebook in order to print your coupon. Stop & Shop has these on sale this week for $2.00. Use your Dollar Double Coupons (available in your mailed circular) to score them for free. Remember, to use Dollar Doublers, you need to spend a minimum of $15 and you can only use 3 per transaction.